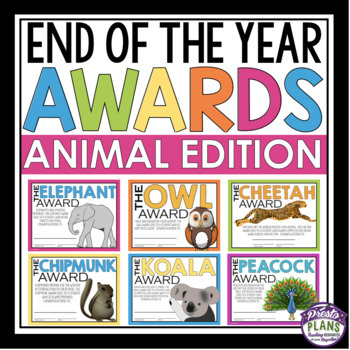 END OF THE YEAR AWARDS ANIMAL EDITION: End your school year by giving your students these 30 ready-to-print awards! 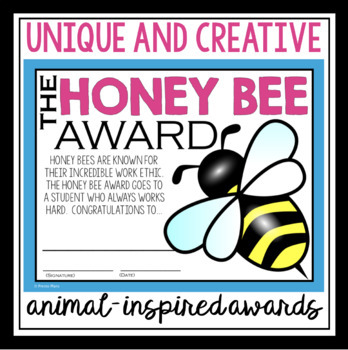 Each of the awards uses an animal to describe a student's personality. 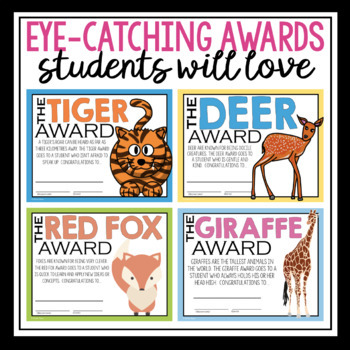 For example, lions are known as the king of the jungle, so The Lion Award goes to a student who is a leader in the classroom! 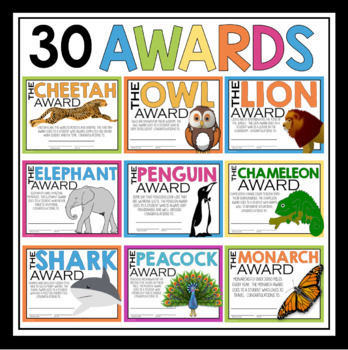 Bears are known for their protective nature, so The Bear Award goes to a student who sticks up for others etc.